Ethelwynn Trewavas, one of the world’s foremost fish taxonomists of the 20th Century, was born on November 5, 1900 (died 1994). Among her research projects that studied fish from around the world, Trewavas is most remembered for her work on the fishes of Lake Malawi, Africa. Trewavas was born in Penzance, Cornwall, England, where her father was a harbor master and where she was seldom far from the water. As a young university student, she was assigned to study the classification of fishes at the British Museum in London (now called simply the Natural History Museum). While sketching fish in one of the museum’s galleries, she was noticed by the head of the museum’s fish section and taken to see the collections in the back rooms. From then on, fish captured her heart, mind and career. After finishing her university training, she taught school for several years. “I learnt,” she said, “among other things, that I was not a brilliant teacher, and longed to go more deeply into zoological studies.” And so she did. She earned a doctorate in biology, interestingly not on fish, but on frogs. From 1928-1961, she worked at the museum as an ichthyologist, rising eventually to be Deputy Keeper of Zoology. She retired officially in 1961, but kept at her research, perhaps being more productive after her official duties were removed. According to colleagues, she remained professionally active to the very end of her life. Her research in ichthyology reaches across several types of fish, both marine and freshwater, but her fame is tied most directly to her work on African fishes and, particularly, to those of Lake Malawi. She worked specifically on cichlids, publishing early and definitive descriptions of their taxonomy. Cichlid taxonomy is particularly difficult because of the large number of species present in any waterbody and the subtle differentiation among species on the basis of morphology, color and, especially, behavior. It has been noted that throughout her career, whenever Trewavas undertook the analysis of a new collection of specimens, a major revision of cichlid taxonomy resulted. Her monumental works on the cichlids of Lake Malawi appeared at the end of her active research career, first in 1983, and then followed by another co-produced volume in 1989. Although most of her work was based on museum analysis of collections by others, she visited Africa several times to collect specimens and observe local habitats. At the age of 85, she learned to snorkel so she could observe cichlids in their natural environment. She was responsible for the description of dozens of species, primarily from Lake Malawi, and 13 fish species are named in her honor. As noted by her former colleagues, Trewavas was much more than a great taxonomist. She was a humble scientist, always willing to acknowledge the collaborative nature of her work. She was a compassionate, yet demanding mentor. She cared deeply for everyone with whom she worked, always generous with her time and advice. Greenwood, P. Humphry. 1994. Ethelwynn Trewavas 5 Nov. 1900-16 Aug. 1993. Copeia 1994(2):565-569. Noakes, David L. G. 1994. An interview with Ethelwynn Trewavas. Environmental Biology of Fishes 43:63-65. Available at: https://link-springer-com.prox.lib.ncsu.edu/content/pdf/10.1007%2FBF02197834.pdf. Accessed November 3, 2017. Noakes, David L. G. 1994. 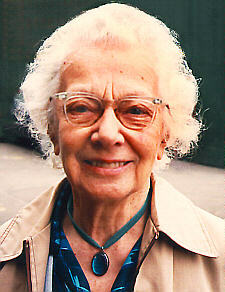 The life and work of Ethelwynn Trawavas: beyond the focus on tilapiine cichlids. Environmental Biology of Fishes 43:33-49. Available at: https://link-springer-com.prox.lib.ncsu.edu/content/pdf/10.1007%2FBF00023799.pdf. Accessed November 3, 2017.